Nov 14, 2018: The Tata Ace shot to prominence as the ‘Chhota Hathi’ and remained christened that way for a very long period of time. The mini pickup vehicle is still one of the top-selling light commercial models in the country and is a subject to a lot of offers given by the company. As per recent news, the model sold over 20 lakh units since its inception. The mini pickup is suspended over Parabolic leaf spring up at the front with semi-elliptic leaf spring for the rear. It has a low gross weight of 1,770 kilograms, while the maximum payload is 850 kilograms. It is powered by a 0.8-litre engine that can make 16 bhp of power and 94 Nm of torque. However, even with the low power, it can get to a top speed of 90 kmph. Tata Ace is revolution in the goods transportation vehicle and for the commercial purpose,specially talking about maintenance and mileage.There are so many vehicles in the range but with economic design and driver safety this is too good for other vehicles.Also after service from Tata is above par, repairing cost is little more but doesnt matter that because it is worth to service in Tata Authorised service centre. Overall the performance is good and this product is worth to have it. The truck has decent looks. Best for Indian roads,no word to say about the product. Tata is undoubtedly the most prominent commercial vehicle maker in India with its presence in each segment, be it in small trucks or the long haul tractors. With India’s market going down in the small commercial vehicle segment, Tata Ace has emerged as one of the most profitable entity in the industry covering most of the market. 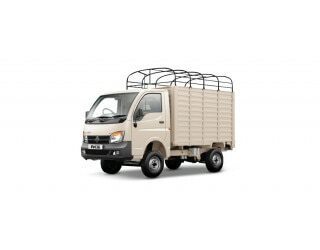 Tata Ace is available in 13 variants which make this product capable of fulfilling a number of needs across various business niches like cash van, goods transportation, etc. With so much options available, the buyers also get their choice of power and torque according to the business requirements. Available in four engine options, namely, Single Cylinder Naturally Aspirated Water Cooled (a), Tata 275 IDI 2-Cylinder (b), 4-Stroke 2 Cylinder Direct Injection Common Rail (c) and 800cc 2-Cylinder DICOR (d), Ace produces power in the range of 11.3 bhp @ 3,000 rpm to 40 bhp @ 3,750 rpm and torque in the range of 31.6 Nm @ 1,600 - 1,800 rpm to 94 Nm @ 2,000 - 2,500 rpm. The vehicle displays an engine displacement of 611cc and 702cc for engine options ‘a’ & ‘b’ and 800cc for engine options ‘c’ and ‘d’. With common Single Plate Dry Friction type clutch and 5-speed gear transmission box for engine option ‘a’ and 6-speed gear transmission box for rest of the options, Tata Ace family has the highest and lowest gradeability of 30% and 10%, while the top speed lies in the range of 50 - 90 km/h. The deck body is the sole option available for all the Tata Ace variants with wheelbase options of 1,650 mm for engine option ‘a’ that is, Tata Ace Zip, and 2,100 mm for rest of the 12 variants. The corresponding turning radius for wheelbases is 3,500 mm and 4,300 mm with the only exception being Tata Ace Mega having the turning radius of 4,900 mm. The dimensions like overall length, width, height and ground clearance for Ace family is in the range of 3,020 - 3,835 mm, 1,480 - 1,500 mm, 1,800 - 2,360 mm and 140 - 175 mm. Coming to the load capacity, the Gross Vehicle Weight (GVW) range of Tata Ace is from 1,285 to 2,100 kg with kerb weight between 685 to 1,070 kg and payload capacity from 600 to 1,030 kg. Deprived of power steering, Tata Ace Zip has Mechanical Rack and Pinion Steering, while the rest of the Ace family gets the same Mechanical steering with variable ratio between 20.5 - 24.5 and 380 mm diameter. Although maneuvering Ace is not very difficult, but power steering has its own advantages. For the suspensions, Ace Zip has MacPherson Strut at front and Coil Spring with Semi-Trailing Arm and Hydraulic Telescopic Shock Absorbers at rear. the rest of the variants are equipped with Parabolic Leaf Springs at front and rear both, except for two Dicor and one Mega variants, which have Semi Elliptical Leaf Springs with Anti Roll Bar at rear. The Ace Mega variant also has Semi Elliptical Leaf Springs with Anti Roll Bar as front suspension, and not the Parabolic Leaf Springs type. Helping the suspension are Ace’s axle which are different in different variants. There is Rigid front axle on all but Forged I Beam Reverse Elliot Type for Ace Zip and Rigid axle at rear for Ace Zip, Hypoid Gear for Dicor and Mega, and Live rear axle for rest of the variants. All the variants in Ace family mostly get Dual Circuit Hydraulic Activated brakes with disc at the front and drum at the rear. Also, there are separate Cable Operated Mechanical Linkages parking brakes acting on rear wheels. This combination works well to let Ace’s driver stop the vehicle at high speeds and load full to its capacity, irrespective of the terrain. Further safety has been improved with features like fog lights, seat belts, tubeless tyres, rigid body structure, robust frame and best in class material used to build the whole body. Talking aesthetically, Tata Ace family has set the standards for other to follow but that was long ago and now its contemporaries are giving tough competition to it. Features like headlamps, cabin structure and overall design are actually not very old, but yes, some improvement is required and Tata is working on it with timely updates of different variants. The cabin, too, is very rich with features like adjustable driver seat, driver information display, cozy seats, and spacious interiors to make the short trips not so boring.